The season hasn’t exactly started the way Patrice Bergeron would have liked. Like last year, Bergy starts the season with a lower body injury. For the Bruins to be successful this season, they will need Bergeron to return sooner rather than later. Bergy remains of the most important players on the Bruins roster. He does it all for the Bruins, winning face offs, playing the pk, and plays the pp. The guy just does it all, and the Bruins need him to get healthy to help give the Bruins a good opportunity for this years playoffs. Due to the sports hernia, Bergeron couldn’t play to the best of his ability last season. 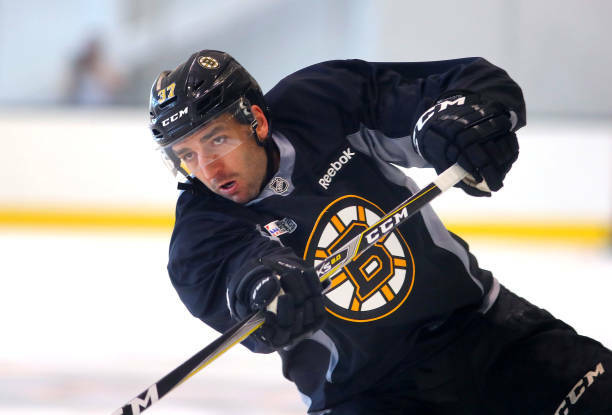 Once the Bruins assistant captain returns, you can be he will aim for a bounce- back year. 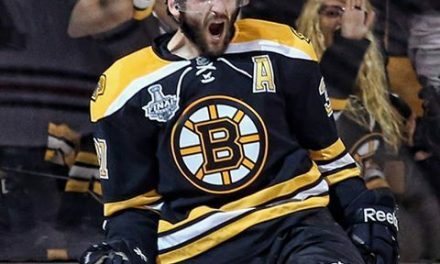 Even though Bergeron didn’t have his best year offensively last season, he did still win the Selke trophy for the fourth time in his 14-year career. By winning the award last year while contending with his injury, you can just imagine what he would have done had he been healthy. 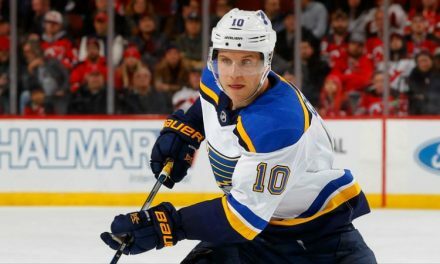 With Bergeron, Backes, and also Noel Accari out with injuries, some roster spots up for grabs. 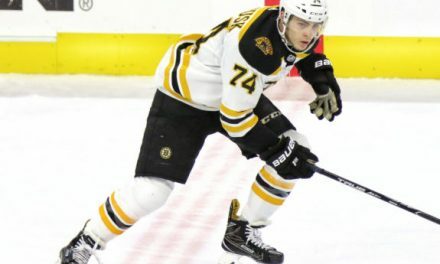 A couple of the young Bruins with a shot in the big club include rookies Anders Bjork, and Jake DeBrusk. Both of these youngsters have already contributed on the score board. In game one of the season, DeBrusk scored his first NHL goal/point and added an assist. Bjork recorded his first NHL point recording an assist on DeBrusk’s goal. These two Bruins look to continue to impress and secure their roster spots for the season. With Krug back from injury, the Bruins defensive pairings look solid, and will probably stay the same as now unless anymore injuries occur. Fans should be excited for this season. 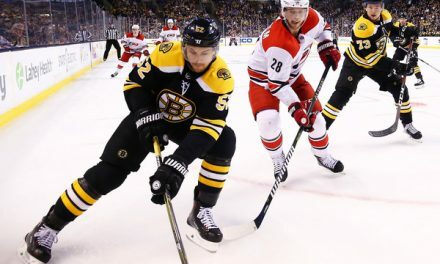 The Bruins offense is greatly improved by bringing in two young guns, DeBrusk and Bjork. Even though they are both young they already appear capable of making a huge impact this season. I could even see the Bruins playing Bjork and DeBrusk with David Krejci like we saw in the Bruins first game of the season. By doing this, the Bruins would be reuniting the lethal line from last season which included Brad Marcchand, Patrice Bergeron, and David Pastrnak. Get ready Bruins fans. It’s going to be a great year!